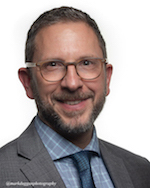 John Carlino currently teaches one course at Buffalo State College and is also the executive director of the Northeast Conference on the Teaching of Foreign Languages (NECTFL). He taught German for 21 years in the Kenmore-Tonawanda UFSD, where he was also the Curriculum and Learning Specialist for World Languages during his last three years there. Prior to teaching German, he taught French for 6 years. John studied in France for two years, receiving his B.A. from SUNY Buffalo in French and Teacher Education, and his M.Ed., also from SUNY Buffalo, in TESOL. 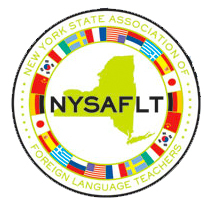 John has been a member of NYSAFLT since 1988. Beginning as a volunteer on the Annual Meeting Planning Committee in 1996, and later as a committee chair, John was treasurer of NYSAFLT for two terms. He was elected to the position of second vice president, but resigned to accept the position of Executive Director in January 2004. 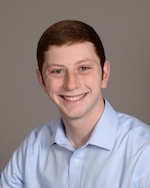 At the regional and national level, John serves on the board of directors of JNCL-NCLIS and the NFMLTA (Modern Language Journal). He served three years on the AP College Board German CDAC Committee, and was an author of the AP Vertical Teams® Guide for World Languages and Cultures (2009). He has served as chair of the AATG and ACTFL and NFMLTA nominating committees. John is also active in the Western New York chapter of AATG and is currently serving as treasurer. Sean McDonough is a student at SUNY at Buffalo. He was valedictorian of his class at Kenmore West High School where he completed an IB Diploma. Sean studied German at Kenmore West and also participated in the Kenmore West school exchange to Germany. He’s a member of the German National Honor Society, and was a recipient of both a WNYFLEC STAR Award and Kenmore West German Award. Sean plans to continue his German studies in addition to his major in political science and minor in history at UB. NYSAFLT headquarters doesn’t have regular hours, but we are almost always available by email to help!